Last week I wrote about establishing a governance framework in a family business. If you missed it, look here. Just to refresh ourselves, the difference between governance and management is that governance is about strategic direction, overall policies, establishing a vision and mission, whereas management is about caring for the operations of the business, the “how’s” of running the business to meet strategic direction and policy. The decisions correctly made in governance are about the really big things in the business that will affect the long term future of the business. Appropriately these governance decisions are made by a Board of Directors while the CEO and other managers look after operational management. In a small business, whether a single owner-manager business, or one with a number of family or unrelated partners, both governance and management decisions are often made by the same people wearing different hats, and more often than not, the decisions are made smoothly and efficiently. So, why would you need to put a Board in place? 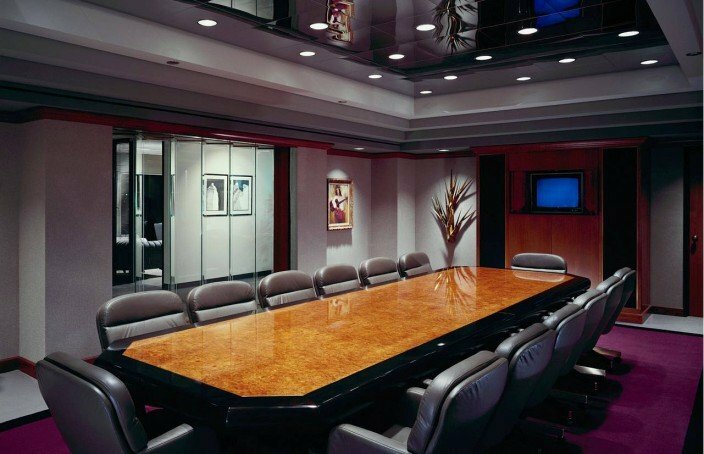 I believe a number of issues make the establishment of a good Board beneficial to your business, at the right time. Firstly, as the business grows, it can become increasingly difficult to split the big governance decisions from the day to day or even annual operational decisions. As the business becomes bigger and more complex, you can start to make strategic and policy decisions on the run, while being too busy concerned about having to do a performance review on Smith, or negotiating a better deal with a supplier. The big picture can get lost in the detail until it comes back to bite you. Having a Board concerned only with strategy, direction, vision and policy allows the business time and space to have an oversight about what it is building, against the time and space also required to ensure that it is following the right actions to get there. It gives you perspective, and can avoid disputes amongst partners. Secondly having a Board can help the business grow. The business may have outgrown your technical expertise and you now need expert finance people guiding the strategy and providing leadership. It may simply need a more experienced voice who has seen many things in business you are only just starting to experience. The business may need experience and expertise in raising capital or in mergers and acquisitions and developing new markets outside of your own experience. An experienced Board can also guide growth, logically and unemotionally assessing past markets and products that may be past their prime. It can complement your knowledge of the industry with their business acumen. Thirdly a Board helps in succession planning. You cannot be owner-operator forever if you want the business to grow – a some stage you will need to hire middle and senior managers, and allow them the authority to act on their responsibilities. So, if you decide that the time has come for you to establish a Board to help provide governance, guidance and wider business acumen to your business how do you go about it? Typically, people ask friends. While this has an advantage of the devil you know it has two disadvantages. First it limits your pool of experience – there may be others out there with exactly the skills and experience you need, but who are not in your circle of friends. Second, it can lead to a Board of yes-men, friends who don’t wish to challenge each other to find a better solution. You need Board members who represent knowledge of the business and the industry, who have a stake in the business and its success and failure (namely you and your partners), and people who can bring expertise that you need for the future, who are experienced in different business circumstances, and who have a wider network you can tap into. They should have a good cultural fit with each other, having broadly similar values that create trust on the Board. They need to have personalities that are open and honest, and their communication styles need to be strong yet constructive. You can establish your Board in a number of ways but certainly you should outline the skills and experience you need on the Board, then look widely to fill those requirements, perhaps even advertise. Treat it with the same professionalism as you would in recruiting staff. You can decide to start with an interim body that is not a legally constituted Board – perhaps an “Advisory Council”. This might be a group of people who meet your criteria who provide you with expertise, advice and experience, but who do not have decision-making capability, and not regulated under any corporations Acts. However if you do decide to try this approach first, you need to be quite clear whether their deliberations are merely “advice” or if you will treat them as at leat morally binding on you. If you don’t treat them with the weight the decisions of a legally constituted Board have to be treated you could be in danger of ignoring their advice, and wasting everybody’s time. In other words you have to be committed to accepting things you may not like. Alternately, particularly if your business is incorporated, you can appoint people under various corporations Acts to be the Board of Directors, Governing Committee, or similar legally constituted governance body. If you do, ask yourself whether you are ready to accept the change emotionally, and accept some loss of control and authority. While there are distinct benefits in having a Board, any small business owner must be ready, and the business must be at the right stage. If you want a more detailed example of the difference between governance and management look here. Don’t miss more tips, tricks, tools and traps – subscribe to get these useful and free methods and techniques delivered directly to your inbox. And if you want to see what you might have already missed, including a lot of free downloads, get yourself over to teikoh.com and explore the site to get your free stuff.